Thanks for stopping by! Marketplace lending (commonly known as Peer to Peer Lending) is a fairly simple concept to understand, but many people still have never heard of it or are afraid of it. My goal here at Peer Social Lending is to educate borrowers on the options they have and to help investors of all types maximize their returns. The concept is simple; a borrower applies for a loan through the any of the marketplace lending websites. 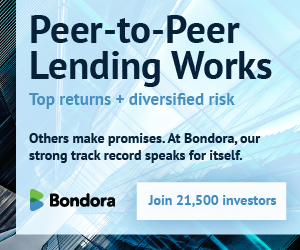 The biggest originators are currently Lending Club and Prosper. The borrower provides all relevant information and are given a rate at which they can borrow. The borrower pays an origination fee (between 1.11% to 5% of the loan amount depending on loan grade for Lending Club) and the loan is submitted for funding. If you are a borrower, be sure to check out my borrower resources page. This is where investors come in. As an investor, you have access to lend to individuals and buy a portion of their note. The idea is that you diversify your investment over many different loans to reduce your risk. Notes are funded by many different investors and subject to the review process. The borrower is responsible for principal and interest payments for the course of the loan (36 or 60 months) Investors are charged a small portion of the payment received from the borrowers (around 1%). The returns – the weighted average of all borrower notes you own minus the default rate are your return. We call this the spread, which is how banks have made money for years. Another way to look marketplace lending is that the group of people who fund a loan are simply acting as a bank would. However, instead of the profits going to huge corporations, they are split up among all of the investors. This is what makes marketplace lending so special. If you are an investor or lender, be sure to check out my investor resources page.